The Aam Aadmi Party (AAP) began its day with celebrations that were not meant to be. 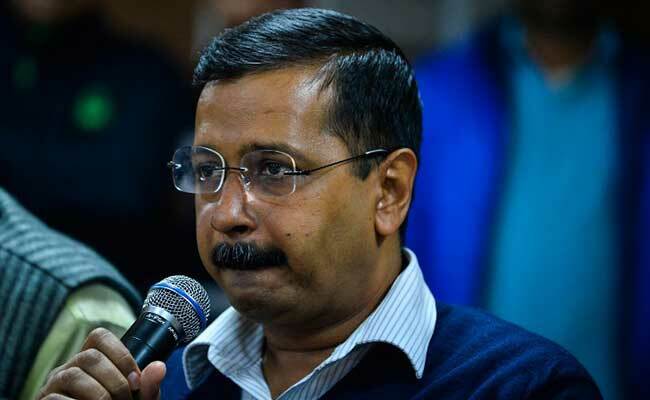 The tricolour balloons and AR Rahman's "Jai Ho" blaring on loudspeakers outside chief Arvind Kejriwal's home in Delhi vanished two hours into the counting of votes for five states including Punjab and Goa, where AAP had anticipated victories. 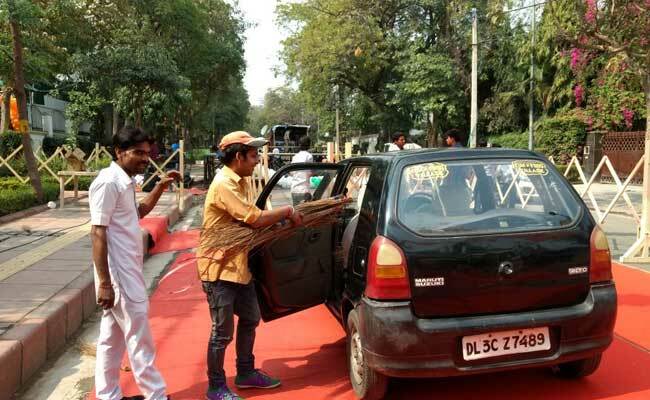 AAP workers were seen dumping brooms - the party's symbol - into the backseat of a car. The party is at second place in Punjab and has lost every seat in Goa, where it was expecting a big bang debut. Where it had said it would win 100 of 117 seats, AAP was struggling to cross even 22 after hours of counting. Mr Kejriwal tweeted, "We accept people's mandate. All volunteers worked hard. Our struggle will continue." By the second hour of counting of votes in five states, it was clear that AAP was done for in Punjab, the state it had hoped to rule. It was third in vote share and its biggest faces - Bhagwant Mann and Gurpreet Singh Ghuggi - lost. In Goa, it has polled only six per cent of the votes, compared t0 32 and 28 per cent for the BJP and Congress. AAP's chief ministerial candidate Elvis Gomes emerged fourth in his seat. AAP workers dump jhadoos after crushing disappointment in Punjab, Goa. "Today's results will set the tone for the future politics in India. It's a historic day," tweeted AAP leader Ashutosh in the morning. He hasn't tweeted since but told reporters, "We are disappointed with the results. We will introspect, but for a new party, even second place is big." The party's national dreams have been stalled, for now. The focus, say AAP leaders, will now shift to the Delhi municipal polls. In Punjab, where he addressed nearly 100 rallies, Mr Kejriwal was dismissed as a "summer storm that came and went" by Captain Amarinder Singh of the Congress, the man set to be Chief Minister. Kumar Vishwas, asked whether the failure reflected on Mr Kejriwal, said, "All elections are fought in his name, this doesn't mean anything on him personally." The party said Punjab and Goa would be a "great learning experience" on what went wrong for the party. Two years ago, AAP had scored a sensational victory in Delhi, decimating rivals BJP and Congress. It also debuted in parliament by winning four seats in Punjab in 2014 - the equivalent of 33 seats.